In studying, practising and teaching karate, I have come across the concept of Shu Ha Ri a few times. Of course my mind latched right on to it, because it is a neat way to explain vast concepts. Anything that offers an elegant shorthand is basically catnip to the instructor-in-training. Of course, Karate by Jesse has already expanded on this concept, and it is a worthy read indeed. In writing this, I’d like to explore ways to understand Shu-ha-ri, both as a student and instructor. Let’s look at the concept and get down with some metaphors. Anyone beginning their martial arts journey would be advised to stick to what their instructor offers. Of course, the value of this depends entirely on the instructor, but it is generally advised that for the first ten years (I know, a long time indeed), the budo practitioner should listen, imitate and study the basics intently. This is the foundation of a great martial journey, and the student that closely studies the principles, ideas and history of their school/style will build an immensely strong base on which to expand their understanding. How to explain it, exactly? Think about learning to cook. No one starts with deconstructed sushi served on a foam of chocolate with smatterings of mermaid’s tail. It starts with boiling an egg. Making white sauce. Macaroni and cheese. A grilled cheese. It’s not particularly exciting, but it takes repetition to not burn the cheese, or leave the sauce standing too long. We learn by watching our parents, sitting on the counter and staring at the pot as they stir. Some say that this stage starts at shodan, but I feel that only once one has settled into being a black belt and a solid foundation that it’s possible to start bending the rules. Now we look into our kata and bunkai, breaking things down by understanding the constituent parts of every block, every strike. A face block, for example contains a strike, a punch , a reverse elbow strike, a cross-block and a grab – but only to the trained eye. To a white belt, it’s just a face block. To a ni-dan, it is an elegant compilation of techniques that can be tweaked to solve several problems. This is what happens when a student absorbs more than just the words of their instructor – this is the result of immersive training and study. How to explain it exactly? Remember that macaroni and cheese? When you first started making it, it was just some grated cheese on some macaroni. Curbed your hunger, sure, but you’ve had maths classes more thrilling than that. But now that you’ve watched it being made and looked up a few recipes, you can make some delicious white sauce to go with it. Throw in some bacon bits, or crumble in some pedano while you make the white sauce. Now, you’re starting to get it, and you’re making it your own. This is beyond fourth and fifth dan – this is when you get your own school of thought – this is the realm of Chojun Miyagi, who created Goju Ryu out of karate, or naha-te. This is the place where the storied legends live – Higaonna Morio, Yagi Meitoku, Yamaguchi Gogen. 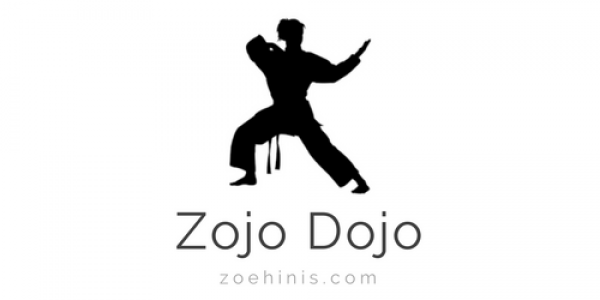 Each took Goju Ryu in a new direction, pouring in their knowledge and creating a distinct look and feel that is clear in their students’ work. A style like a signature, a whorled thumbprint that is unmistakable to the trained eye. It’s still karate, still Goju Ryu, but each school is entirely theirs. Heston Blumenthal makes food. But what he does with ingredients, science and creativity is a culinary explosion that can only be achieved with vast, relentless study, exploration and practice. His food is a work of art, the peak of culinary science. He also started with learning to make a white sauce. No one gets to three michelin stars without burning a few dishes along the way. Shu-ha-ri applies to all aspects of life – there are some areas in life where we are at the shu stage, or ri. When it comes to writing, I’m getting closer to ri. But with my training, I’m just starting to edge into ha, and even then only in certain areas. Don’t be disheartened by the seeming length of this journey – the time will pass anyway. And as it does, you’ll deepen your knowledge, understanding and enjoyment of your training. The concept of Shu Ha Ri is found in several martial arts. Here is a good explanation of what it means.